Hey everyone! 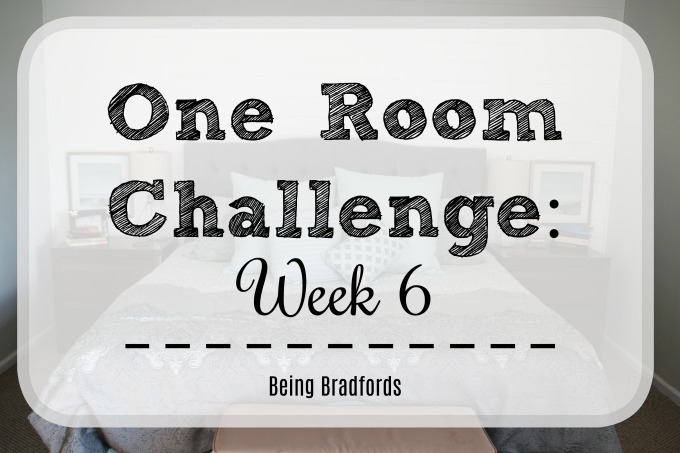 It's week 6 of the One Room Challenge and holy moly it's going by so quickly. I can't believe it's almost time for the reveal! Well, technically we should be done this week but everyone was given an extra week and I am SO thankful for that bonus time. The room is definitely coming along and I am loving the results but we still need a bench and two chairs for the room. It's been very difficult to find chairs that are within our budget and that we really like for our room. I don't want to just buy something for the sake of the challenge, I want it to be the perfect chair. Whatever that means haha. So this past week we made some big progress. 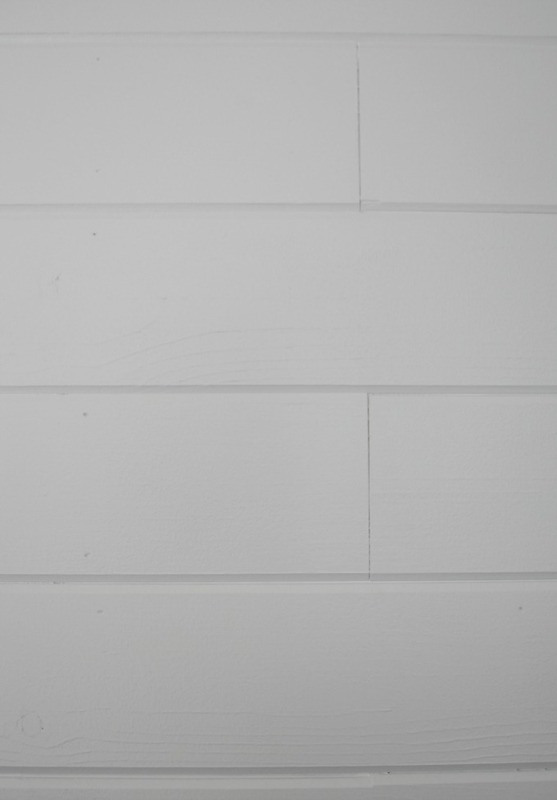 We finished the shiplap wall by painting it white and adding some one-inch quarter round to the sides of the wall. I think it really helps to make the wall look finished but it still holds some of the rustic feel we love. Since we used knotty pine there are some notches in the wood but I like the "imperfect" look. Also, when I say "we" did all this work, I really mean Mark lol. Mark also painted all the trim in the room which makes it look 1000% better. Hallelujah!!! It's hard to get a good picture of the trim but trust me, it's awesome! :) We also hung a bunch of the decor and WOW we all of a sudden have a master bedroom. So fun. Another big change to the room is that our mattress is officially off the floor and we have a bed! 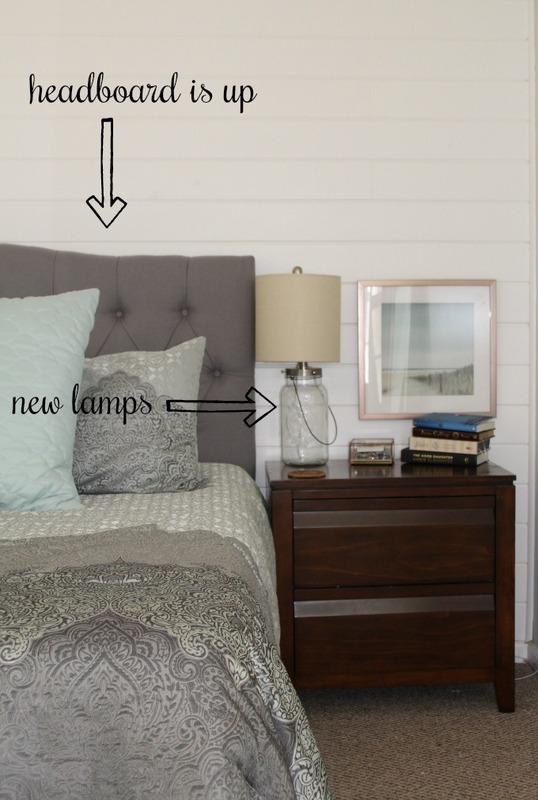 Seeing the bed in place and the headboard installed makes the room really look pulled together. 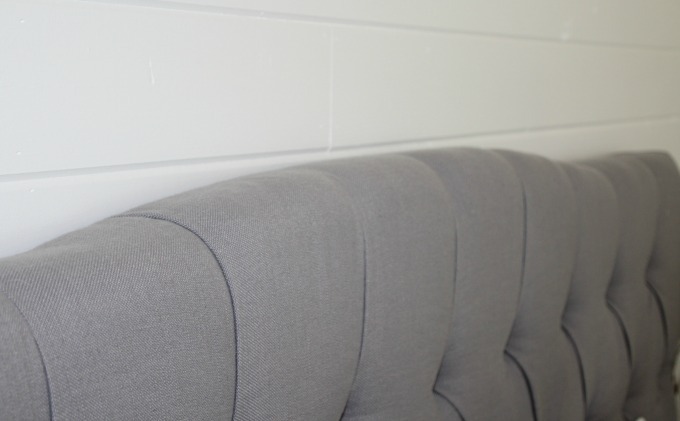 We got our headboard from Wayfair and I couldn't be happier with it. The color is perfect and it was very reasonably priced. The only downside to having a bed is that Oliver (our pup) can't just walk onto the bed any more. Poor puppy! 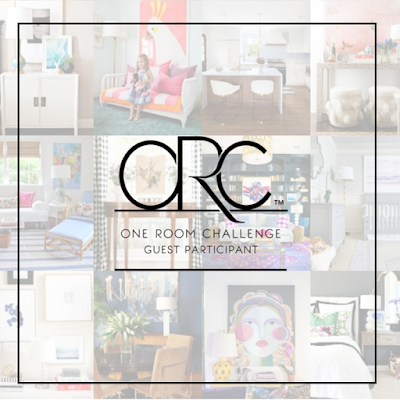 I can't wait to show you all the whole room next week. Let's pray that we can find the rest of the items we need so it will really be complete. :) If you want to check out the other guest posts click here or check out the Calling it Home website.